DO YOU NEED CYBER INSURANCE? | Morning Star Agency Insurance Services, Inc.
1. Does my company rely on any digital critical infrastructure to function and/or make money? Think email, internal systems, network machines, dispatch systems, etc. If your company relies on any piece of technology described above and would be unable to generate revenue if this infrastructure was compromised – then cyber insurance can help put you at ease. 2. Does my company keep any records of customers or employees? How many? Records consist of email lists, mailing lists, any password information including security questions, driver’s license numbers, passport or other ID information, and miscellaneous data that could identify a client, customer, or employee. As a general rule of thumb – multiply that number by $200-$400 per unit. That’s about what it would cost (at a minimum) to notify and remediate any breach costs to customers or employees. This doesn’t include costs associated with litigation, or any fines or penalties for not precisely following the letter of various state and international laws, PR expenses to save your brand and help your customers, etc. 3. Do my employees use computers, phones, tablets? One of the largest risks to your company are employee mistakes. Opening a bad email attachment, clicking on the wrong link, or accidentally giving out personal information can all lead to large cyber breach incidents. In such a case, malware is instantly installed on your system, allowing outside access to your data infrastructure, which can result in shutdowns, data breaches, or even falling victim to socially engineered attacks. 4. If I was notified of a data breach today, would I know the first thing to do? Dealing with a cyber breach is never a simple task. But if your company is insured, you can take a step back and relax. Good cyber insurance comes with breach coaches, data specialists, and legal experts to assist you around the clock. In the case of a data breach, it’s their job to keep your business compliant, keep all costs to a minimum, and get you back to working order as soon as possible. 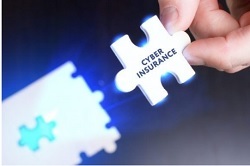 For a quick cyber insurance quote, please complete the information in the Quick Quote box at the top of this page, or give us a call at Morning Star Agency Insurance Services at (949) 833-2030 and speak with one of our licensed & experienced agents!